“This album proved that UK Hip-Hop is alive and well in 2012! 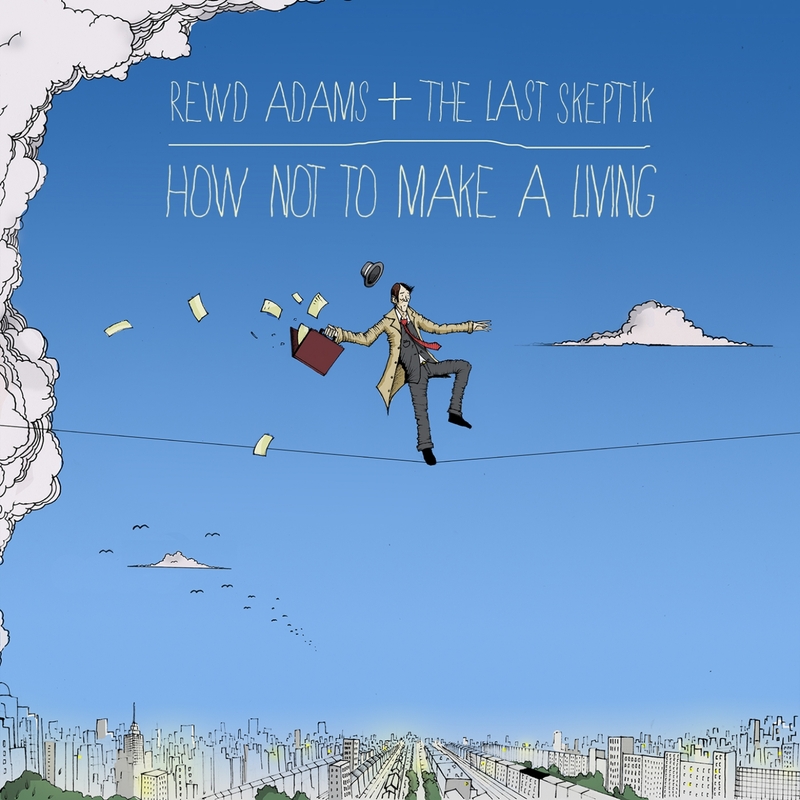 Solid production from The Last Skeptik and consistent heartfelt lyrics from Rewd Adams. The album is included in iTunes’ ‘Best of Hip-Hop 2012’ and for good reason – it’s up there with every other Hip-Hop album released this year!” – Craig Evans. Rewd Adams has been lauded by critics across the board – previously named as ‘One To Watch’ by The Guardian, MTV and BBC1xtra, Rewd also earned ‘Album of The Week’ in The Independent for last year’s ‘Rewd Awakening’. As a producer, The Last Skeptik has worked behind the boards for some of the country’s elite, from Sway, The King Blues, and Jehst, and also holds down a weekly show on NTS Radio. Coming together on ‘How Not To Make A Living’ for Grindstone, Rewd Adams & The Last Skeptik deliver a selection of incredibly well produced tracks, including the album’s lead single ‘Everything’s OK’ (which you can watch below), a 120bpm roller with a bounce reminiscent of Outkast. Also among the album’s highlights is the drum-led ‘Bring It Back’ and the more melody driven ‘So Soulful’ featuring Mai Khalil.